Below you can view all the homes for sale in the Juhl subdivision located in Las Vegas Nevada. Listings in Juhl are updated daily from data we receive from the Las Vegas multiple listing service. To learn more about any of these homes or to receive custom notifications when a new property is listed for sale in Juhl, give us a call at 702-323-5986. Beautiful amenities, 2 story fit center, beautiful swim/sun deck, outdoor screening room, Vino deck. MLS#2088988. Northcap Commercial. Steps to Arts District, Smith Cntr, LV Academy of Arts & more. MLS#2088987. Northcap Commercial. Grd lvl shops & eateries, short walk to nightlife, public transport. MLS#2079788. Northcap Commercial. One of a kind model home. MLS#2075795. Northcap Commercial. Steps to the Art District, Smith Cntr, LV Academy of Arts & more. MLS#2076000. Northcap Commercial. 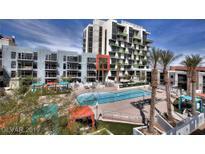 Near By Art District, Smith Center, Lv Academy Of Arts And More! Ground Level Restaurants And Shops MLS#2070321. Signature Real Estate Group. Grd lvl shops & eateries, short walk to nightlife, public transport. MLS#2068586. Northcap Commercial. Grd lvl shops & eateries, short walk to nightlife, public transport. MLS#2068582. Northcap Commercial. Steps to the Art District, Smith Cntr, LV Academy of Arts and more. MLS#2068578. Northcap Commercial. Grd lvl shops & eateries, short walk to nightlife, public transport. MLS#2063496. Northcap Commercial. Grd lvl shops & eateries, short walk to nightlife, public transport. MLS#2063492. Northcap Commercial. Beautiful amenities, 2 story fit cntr, beautiful swim/sun deck, outdoor screening room. MLS#2062356. Northcap Commercial. Ground floor retails w/shops & restaurants, steps to publ trans. MLS#2062359. Northcap Commercial. Freemont Street, Courthouse, shopping, dining and transportation all nearby. MLS#2050019. Award Realty. Loft style, lg kit w/tile, granite, stainless appls, brkfst bar. MLS#2047666. Coldwell Banker Premier.